Rob Ickes is IBMA’s Dobro Player of the Year fifteen times and has a long list of recording and performing credits to his name. 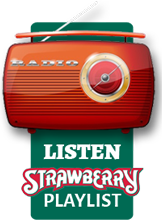 His last Strawberry appearance was in the spring of 2007, with Three Ring Circle. Young guitar prodigy, Trey Hensley, is gifted with a voice that has been compared to the great country icons of the golden era. He picked up a guitar when he was 10 and has since performed with the likes of Mary Stuart, Earl Scuggs, Johnny and June Carter Cash, the Oak Ridge Boys, Ricky Skaggs and many others. This pairing of virtuoso talent has the achieved the perfect cool to hot ratio. Their debut album, “Before the Sun Goes Down”, earned a Grammy nomination for Best Bluegrass Album, in 2015. They have continued to build momentum and develop a natural musical chemistry, with their most recent release, “The Country Blues”. 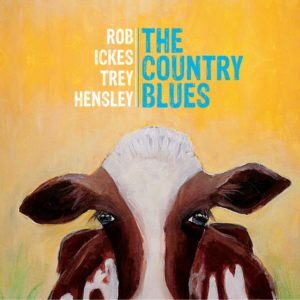 Those of us who have been pining for Rob Ickes to return to Strawberry couldn’t be happier to see him on Fall roster in our new favorite bluegrass country duo, Rob Ickes and Trey Hensley.